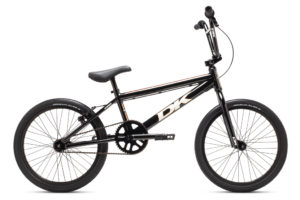 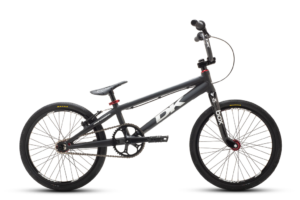 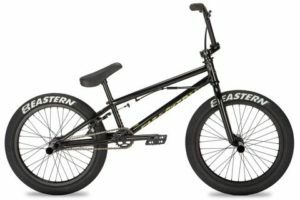 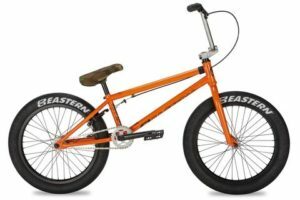 Though originally denoting a bicycle intended for BMX Racing, the term “BMX bike” is now used to encompass race bikes, as well as those used for the dirt, vert, park, street, flatland and BMX freestyle disciplines of BMX. 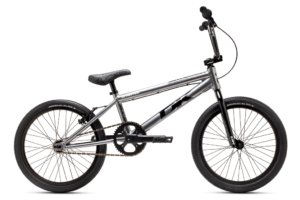 BMX frames are made of various types of steel, and (largely in the racing category) aluminum or Carbon. 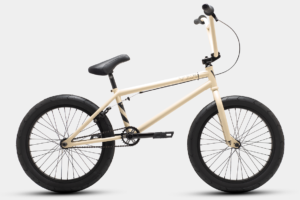 Cheaper, low end bikes are usually made of steel. 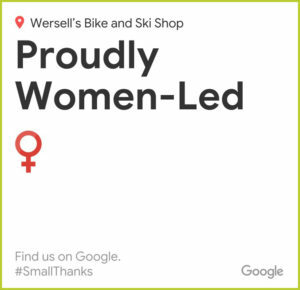 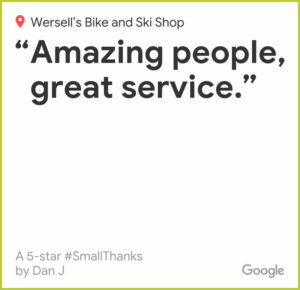 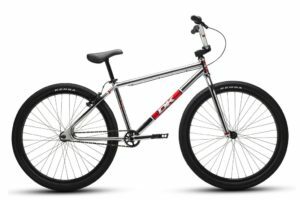 High range bikes are mostly chromoly or high tensile steel, although the latter is noticeably heavier with respect to strength. 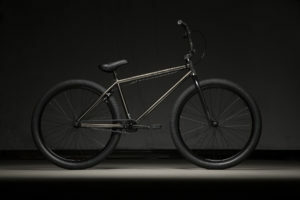 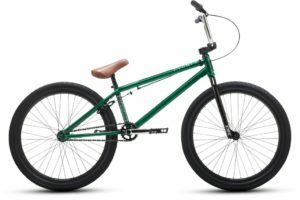 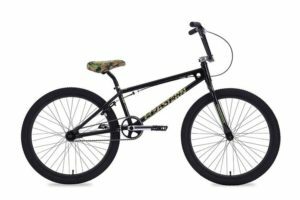 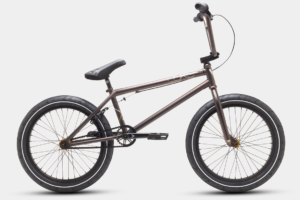 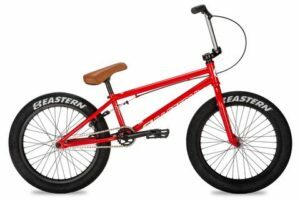 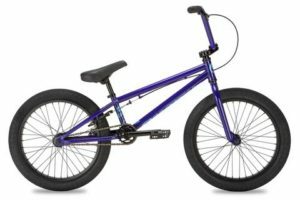 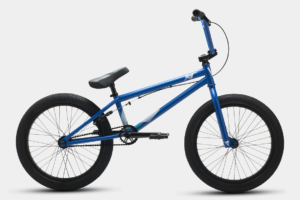 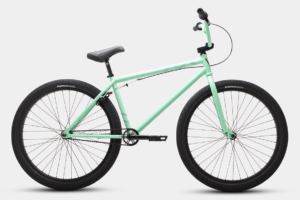 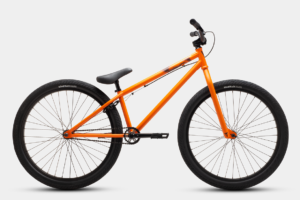 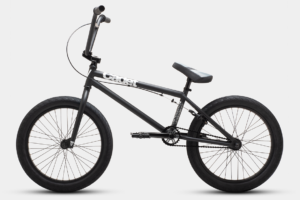 High-performance BMX bikes use lightweight 4130 chromoly, or generation 3 chromoly. The introduction and widespread popularity of the cassette hub has ushered in the use of smaller gearing on BMX bikes. 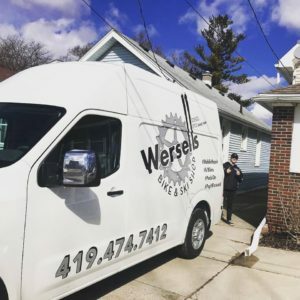 Instead of the old 44/16 gearing found on almost all older BMX bikes, new bikes use gearing such as 36/13, 33/12, 30/11, 28/10, 25/9, 23/8,and even 22/8, all of which have similar gear ratios of almost 2.8:1. 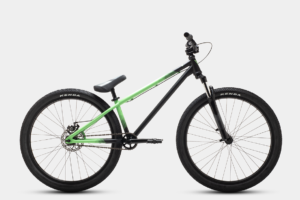 Advantages of smaller gearing hubs include lighter weight, and more clearance when grinding. The freewheel hub is all but extinct due to several factors. 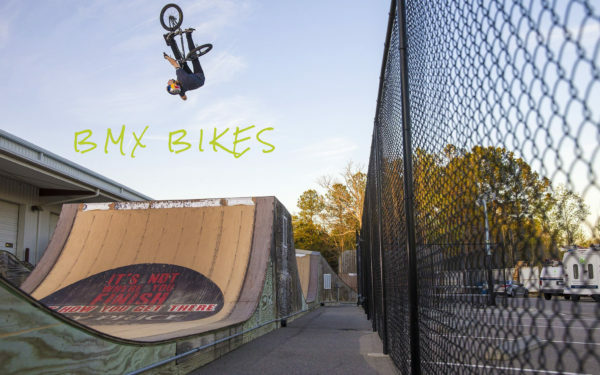 The smallest freewheels that can be made is with 8 teeth. 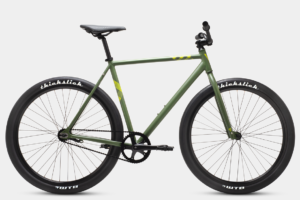 Also, they are less consistent than cassette hubs, and skip or jam up far more frequently. 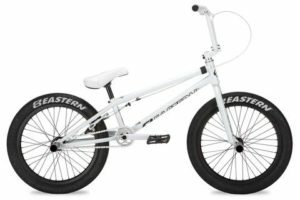 On most freestyle, street, and park BMX bikes, the wheels have 36 spokes. 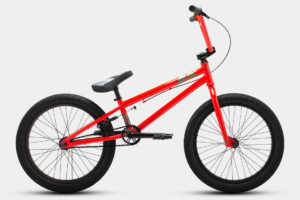 Race bike wheels also usually have 36 spokes, but wheels for the smallest racers, sometimes as young as three years old, can be built with 18 or 28 spokes. More aggressive riders may opt for wheels with a spoke count of up to 48 spokes, however hub and wheel combinations for this are becoming difficult to source. 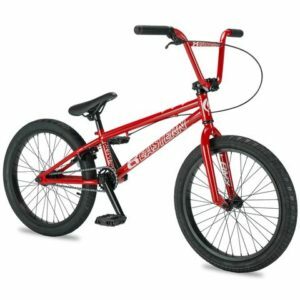 BMX Racing bike wheels vary in size, from 16″ to 26″, with 20″ being the most popular. 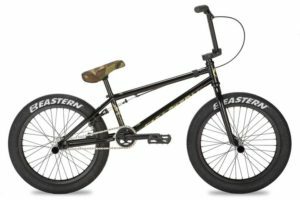 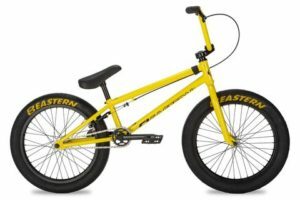 Dirt jumping and freestyle bike wheel sizes include 16″ and 18″ for younger, smaller riders, 20″ for most other riders, and a few companies including Haro and Sunday offer 24″ freestyle bikes for taller or older riders who feel cramped on a standard 20″ BMX bike.